Hey everyone! Travis back with more fun Tampa Bay entertainment news for you. The 6th Annual Classic Fitness Festival (aka Squiggy Classic) will be held from Friday, March 12 through Sunday March 14 right here in Tampa Bay. All of the excitement takes place at Wilderness Park (14302 Morris Bridge Road in Thonotosassa). Here&apos;s what&apos;s happening: you can test your athletic skills in one of the most beautiful natural environments in Hillsborough County. 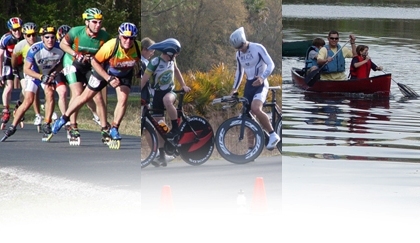 The three-day fitness festival is a fun-filled weekend for active outdoor enthusiasts that includes trail runs, mountain bike races, road cycling events, adventure races, inline skating and a night canoe paddle. Oh, and proceeds from the event benefit Friends of the County Parks, a 501 (c) (3) not-for-profit organization that provides financial support to the Hillsborough County Parks, Recreation and Conservation Department. So, get out and enjoy some of the Tampa Bay area&apos;s most beautiful settings and support a good cause at the same time. And as always, keep checking back for more great things to do in Tampa Bay and other Tampa Bay area events.